The Coastal Maine Botanical Garden in Boothbay Harbor Maine is already voted the #1 Public Garden in the United States by Trip Advisor. Now, see the Gardens in a whole new light. Join them this winter from LATE NOVEMBER TO DECEMBER 31ST for the biggest and brightest light display in New England. 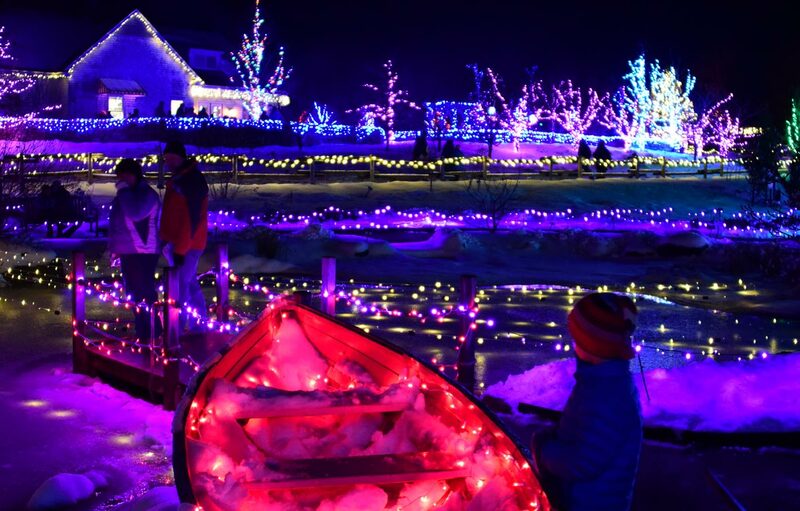 They are lighting up the winter nights at the Coastal Maine Botanical Gardens with over 600,000 LED lights to decorate their central gardens and buildings. Stroll the gardens, have a cocktail or hot chocolate by a fire. Listen to the Christmas music and soak in the winter holiday magic. Last year the event scored high marks from all that attended. It was a success beyond expectations. Parking is an issue so our travel packages are thoughtfully planned for those who attend. We provide transfers to and from the event, plus we time it all out for you. No need to think it through because we have done it for you! Your stay in Boothbay Harbor is walking distance to restaurants and the nightly shuttles to the gardens. +Add a 2nd night in Boothbay Harbor to coincide with other holiday events - $80 per person. *Price varies by departure station, your price will adjust when booking. **Overnight rates are per person based on Double occupancy and are subject to availability at the time of booking. Weekend surcharges may apply for Friday nights and always apply for Saturday nights. PRICE MAY REDUCE if we can share your transfer with other travelers. If a shared transfer is provided, a credit will be applied to your booking. FOR EXAMPLE: If 4 passengers travel on the same transfer, The price is reduced by $50 per person!